NILAI, May 2 — The scorching dry spell has ignited a furious water war with unlicensed resorts and residents of the sprawling Pantai Hills here fighting over a dying creek. A Malay Mail probe showed that people at Pantai Hills — covering some 40 hectares and up to eight resorts, some falsely being promoted as homesteads — depend on water from the creek. They draw water from a tributary of Sungai Beremban that fills up a 252,000-litre capacity reservoir on a hill slope, but the dry season has seen the water level dip drastically. The creek itself resembled a series of puddles with pipes snaking through the forest floor, draining every last drop of water. The water conflict involves residents versus resorts; and resorts versus resorts. In one corner are about a dozen plush homes that rely on water from the reservoir. These households do not even have water for washing or utilities. They drink bottled water. In the other corner are the resorts — some with swimming pools — that have stretched the water supply thin. This same corner sees resorts battling to ensure adequate water supply, resulting in allegations of sabotage. The bottom line is all are guilty of water theft, plundering valuable natural resources and destroying an irreplaceable ecosystem. It gets worse. The water they use is untreated and is only fit for irrigation, cleaning and watering plants. It’s not suitable for drinking. 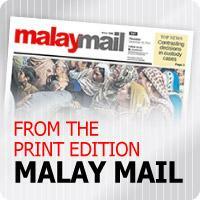 Malay Mail stumbled on the escalating water war while investigating the illegal mushrooming of so-called homesteads where wild parties are supposedly held almost every weekend. Residents said resorts, the first of which came up in 2014, should never have been built there because the land was meant for agriculture. Our investigation took a turn following interviews with residents. It was all over water not wild parties or homesteads. Another resident said the problem could be solved if the resorts invested in getting water from the state water grid. He said: “The resorts need water on an industrial scale and it is unfair that they pump it for their swimming pools. A resort manager said the conflict with residents had been going on for months. “We need water just as they need it but they have to understand our water demands are higher,” he said. He argued that the residents were uncooperative in working out a solution. The fight between resorts is also getting out of hand. When water from the reservoir stopped last month, another resort manager discovered pipes further upstream sucking water before it reached the reservoir. She said her resort had no choice but to lay their pipes as well. “Now, there is a network of pipes along the creek. We had to shift the pipes further and further upstream,” she said, adding that pipes were severed regularly, with saboteurs suspected to be at work.